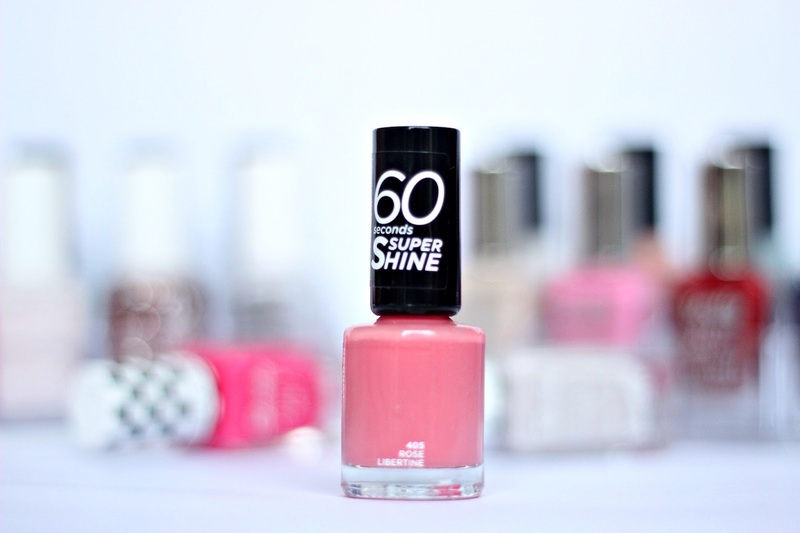 Say hello to Rimmel 60 Seconds Super Shine Nail Polish in 405 Rose Libertine. The most beautiful muted rose shade, which is my perfect pink as I'm not a huge fan of bright, barbie pink nails as I don't think they suit me. There's nothing to not like about this nail polish, seriously. The brush is flat, making application so quick and easy, and the formula is perfection. 2 coats of this and you're good to go, and it really does dry fast. It's so shiny it can even do without a topcoat, but I never do a manicure without my trusty Seche Vite top coat, #justsaying. If all that isn't enough, it's an absolute steal at £2.99. I really need to get a few more shades in the range. What's your all time favourite nail polish?